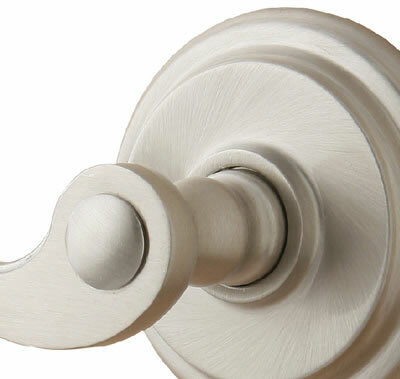 Create a more custom look by matching your door hinges to the door knobs, handlesets, or lever handles that you choose for your new home. 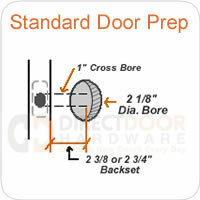 Our hinges are available in four plated finishes to compliment our door hardware. 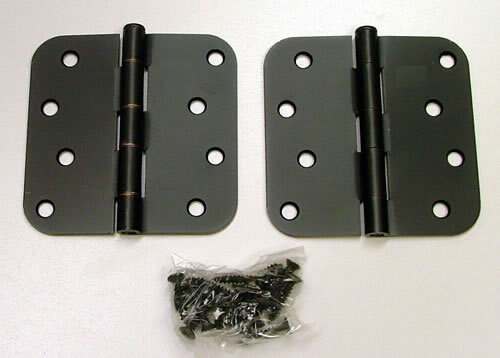 Hinge pins are removable. 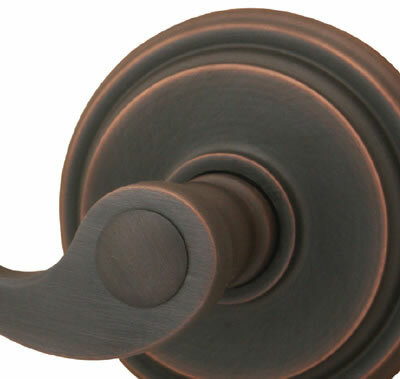 Choose from Flat Black, Satin Nickel, Antique Nickel or Oil Rubbed Bronze. Sold as Pairs. Mounting screws provided. 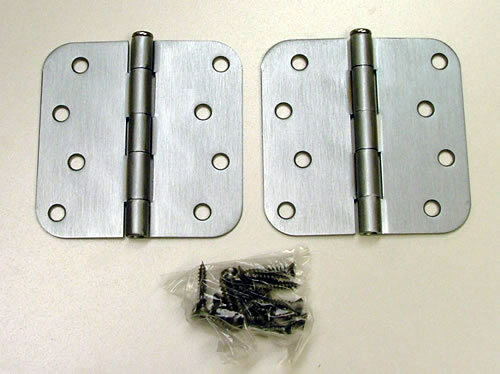 Replaces most 4" door hinges. 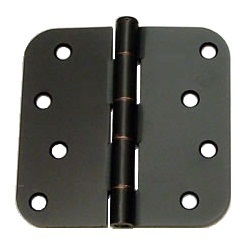 4" door hinges are generally used on exterior doors. 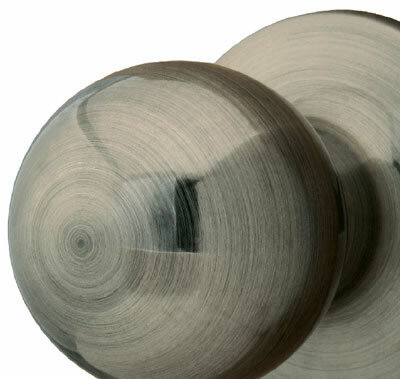 Is this ball bearing or plain bearing? 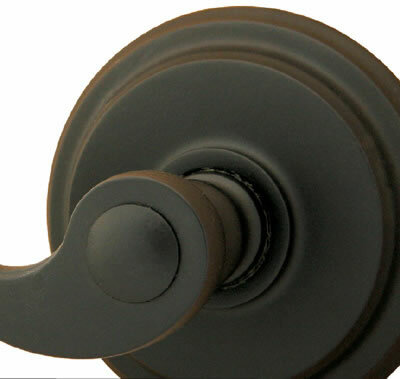 Replacing outside outward opening Pinrod mat black hinges. Size 4 inch 5/8 radius. The sure loc model screw hold line up with the Pinrod, do they come with pin lock? These are not available with a non-removable pin.